This Thursday, January 16th, Velvet Heat will be the featured performer at the Westmoreland Jazz Society concert. This will be our second time performing for the WJS and we are so excited to return! This audience is truly one of the most supportive we’ve ever played for. 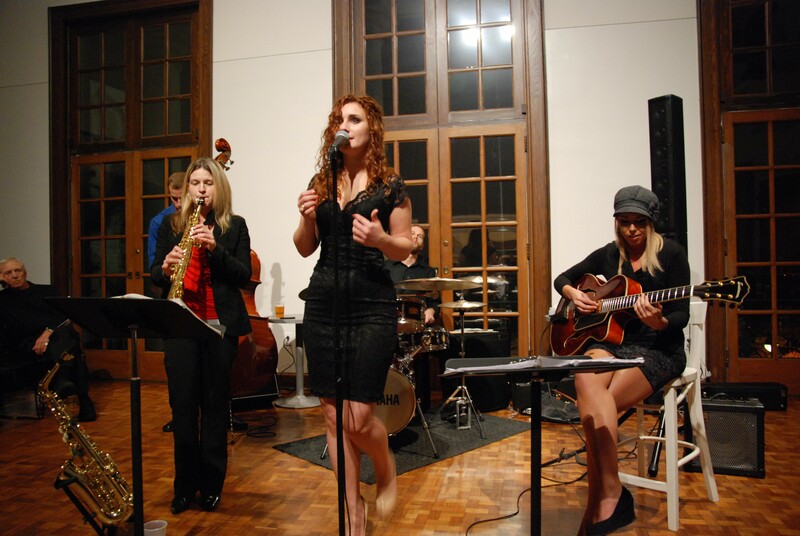 Velvet Heat performs for the Westmoreland Jazz Society at the Westmoreland Museum of American Art in October 2012. This week’s event will take place at Seton Hill University Performing Arts Center, 100 Harrison Avenue in Greensburg. Admission is $15 at the door and includes two drink tickets. No reserved seating. Tagged as Seton Hill University Performing Arts Center, Westmoreland Jazz Society, Westmoreland Museum of American Art.